Since 1999, the Birthright Israel program has sent over 500,000 Jewish young adults on a free ten-day trip to Israel, in the name of strengthening Jewish identity and connection to the Jewish state. But while all Jews worldwide are handed this free trip, and, furthermore, automatic citizenship if they choose to immigrate to Israel, Palestinians are barred from returning to the homes and villages where their ancestors lived for centuries. 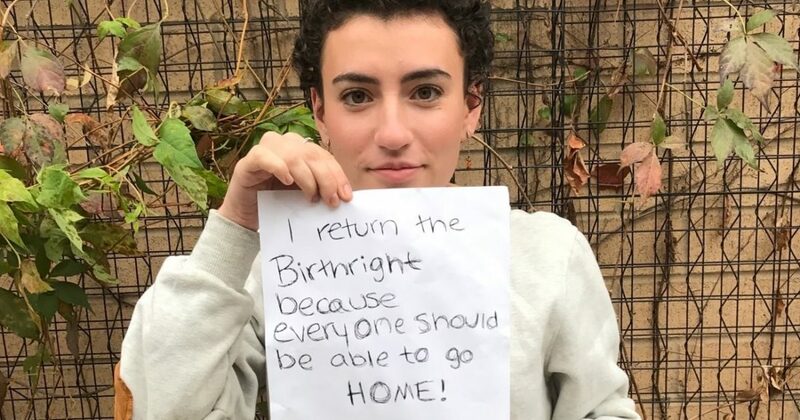 As young Jews in Jewish Voice for Peace, we #ReturnTheBirthright and call on other young Jews to do the same. 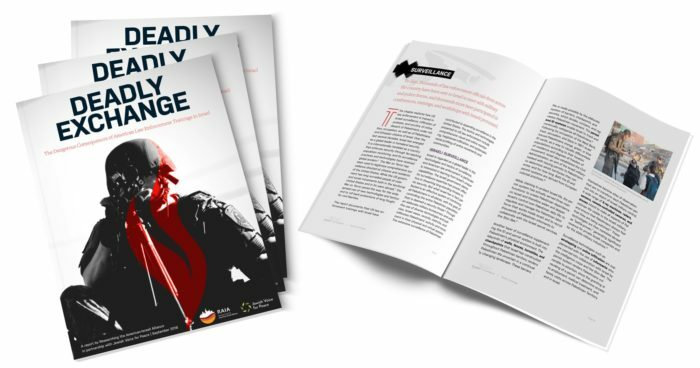 We choose a Judaism that is grounded in values of solidarity and liberation, not occupation and apartheid.